Punjabi cuisine is associated with food from Punjab region of India. This food gives us the feeling of fullness and happiness. 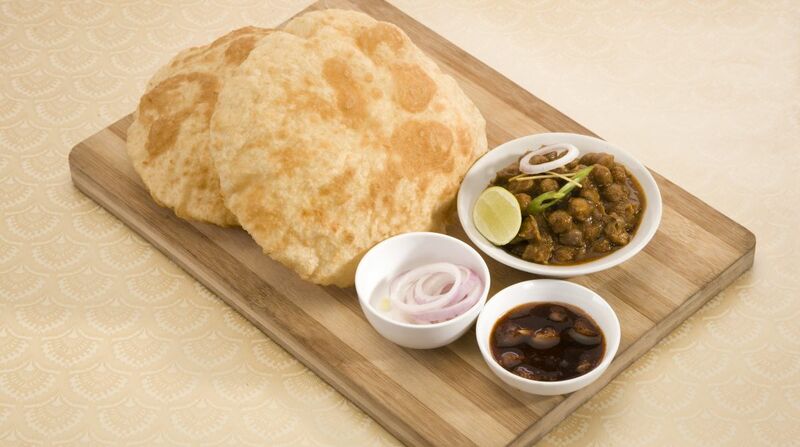 Chole bhature is one of the best lip-smacking Punjabi chatpata recipes which tastes awesome. This restaurant-style dish can always be on your menu whenever you want to treat your taste buds in authentic Punjabi style. Raksha bandhan is here again and it is that time of the year when the whole family gets together to celebrate the endearing brother-sister bond. With this fantastic menu, you can be the star of your rakhi festivities. Wash chole and soak them in water for 3 hours. Put them in a pressure cooker along with four cups of water, 1 teaspoon salt, two tejpattas, one dalchini stick and one tea bag. Open the cooker after pressure comes out on its own. Add meetha soda and give a good stir. Turn on flame again and boil for half an hour stirring occasionally on low flame. Turn off flame and take out khara masala and tea bag. Mix well all dry spices and salt together in a separate bowl. Boil potatoes and cut them in four pieces. Sprinkle little masala on boiled potatoes. Put rest of the masala in boiled chole and mix well. 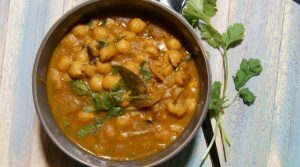 Put the spiced boiled and cut potatoes also in chole and give a stir. Heat desi ghee in a pan. Add ajwain. When it starts to splatter, add degi mirch. 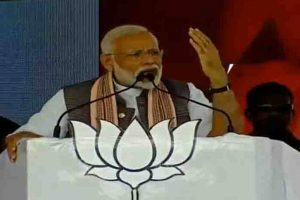 Put this tadka in chole and mix again. Serve hot garnished with green chillies cut lengthwise. Heat milk in a pan and give a boil. Add curd when a boil comes. Simmer it for few minutes stirring occasionally. Keep it aside and let it cool at room temperature. Take maida in a deep bowl. Add salt, sugar, baking powder and oil. Knead the dough adding enough milk-water and paneer which we made in step one to make a soft dough. Keep it covered in a closed container for three to four hours. Make small round balls out of this dough and roll them in oval shape thin chappatis. Deep fry bhaturas and serve hot with chole. Serve onion salad and mango pickle with chole bhature to enhance the taste to the fullest. 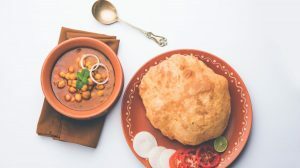 This traditional way of preparing chole bhature is without any shortcuts or tweaks. Try them this Raksha Bandhan to celebrate your happiness.